So let’s talk Food. And Wine. Or maybe both. 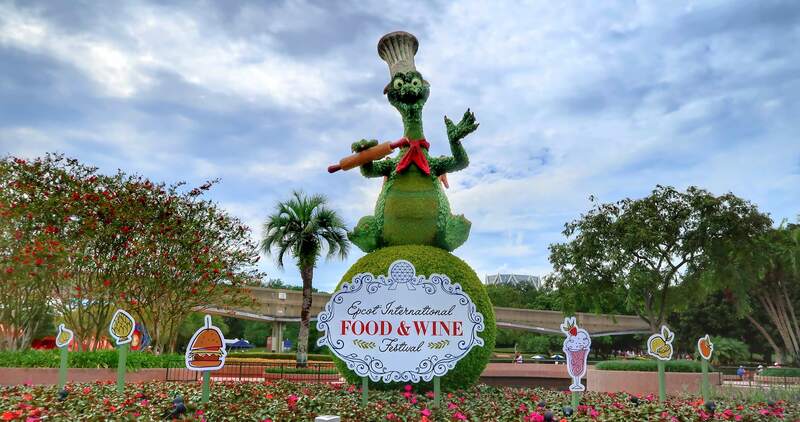 Because if you’re planning to visit Epcot’s Food and Wine Festival 2017 you need to know what to try. I’ve visited the festival several times, and also just got back from a Disney Parks Blog event where we got to try tons of the new options for this year. Here’s my favorites. These are the go-tos. The ones that are sure to please just about anyone. And the ones I’ll keep buying each time I go to the Food and Wine Festival this year. 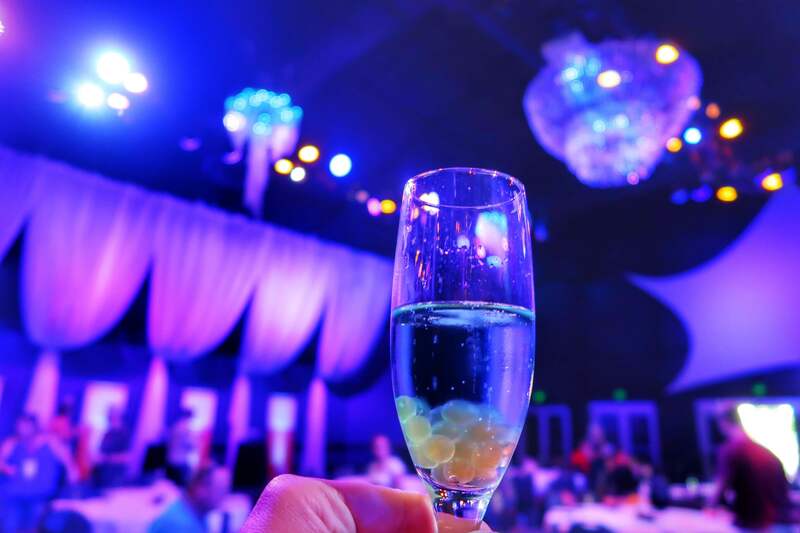 1 – Blue Spectrum: Light Lab – This is champagne with little Boba beads that have passion fruit flavor when you pop them in your mouth. The combination is fantastic. Available in the Light Lab. 2 – Sweet Avocado Crema: Active Eats – Don’t let the avocado throw you off. You really don’t taste it, it just makes it really creamy and the cake with strawberry sauce at the bottom is so good. 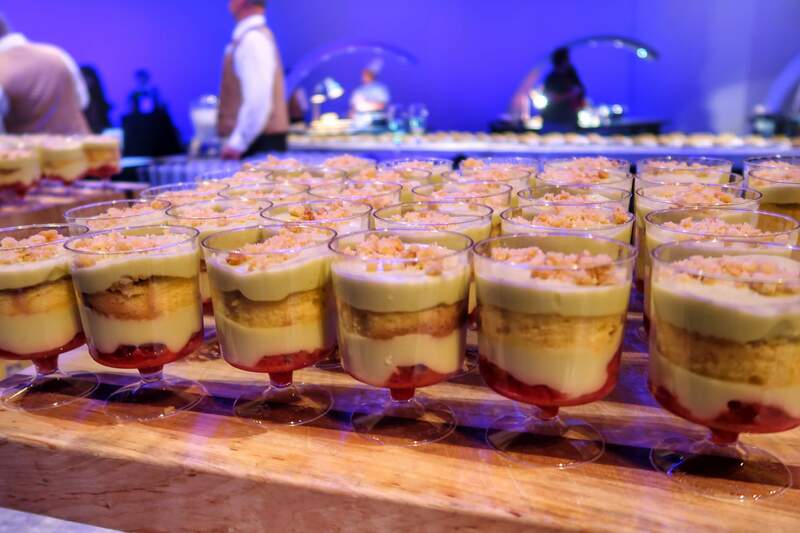 Light and refreshing, a great dessert if you’re not a big sweet eater since it’s not crazy sweet. 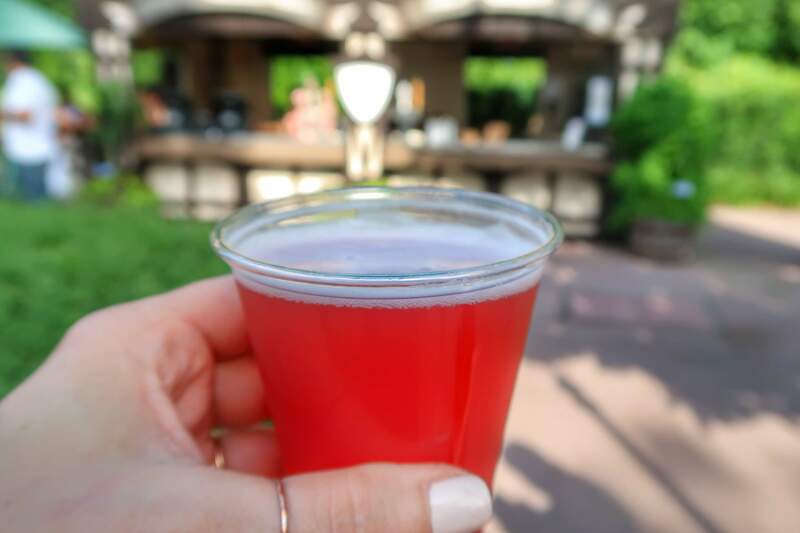 3 – Pomegranate Beer: Germany – Made my the same makers of the Grapefruit Beer especially for this Festival, this is light, refreshing and perfect for summer. Still like the Grapefruit flavor a tad better but this is a close second. 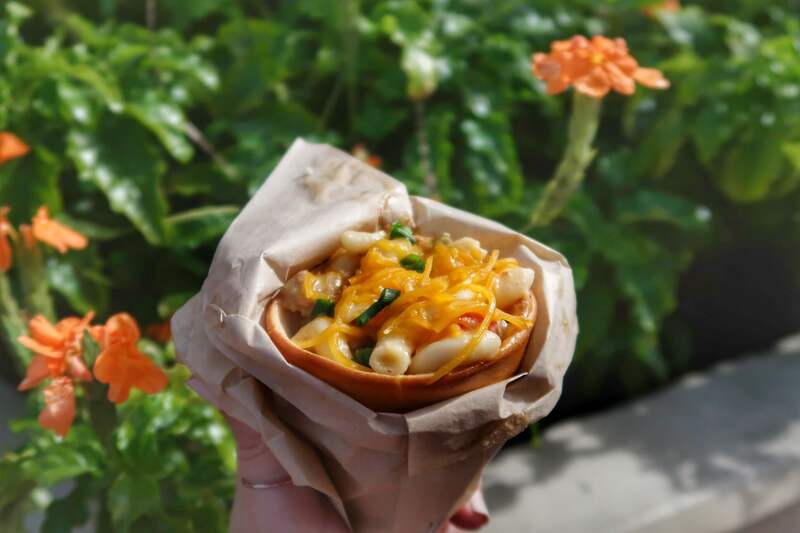 4 – Cheeseburger Macaroni Handwich: Craft Beer Pavilion – Macaroni and cheese, with a zesty little spice kick, and in an edible bread cone. What’s not to like? Find it with the craft beers inside the Odyssey Center. (Also while you’re there stop and see the slide show of Epcot’s building and all the anniversary merchandise. 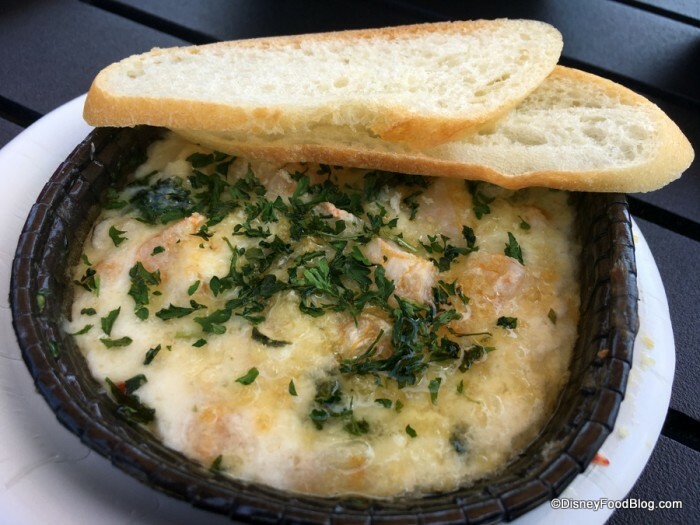 6 – Baked Shrimp Scampi: Coastal Eats – Baked Shrimp Scampi from Coastal Eats is soooo good. They also have some scallops at this same booth that are fantastic. 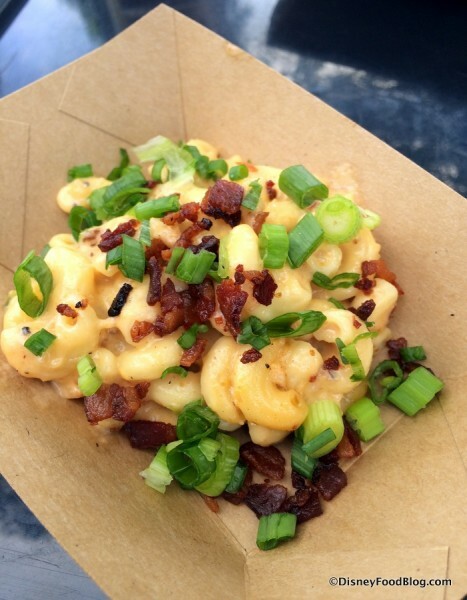 Thank to Disney Food Blog for the pic. 7: Beef Filet Mignon: Canada – Don’t miss this. It’s one that I dream about for ages after I eat it. You won’t regret trying it. Also get the cheese soup from the same Canada booth, if it’s not too crazy hot for soup. 8 – Loaded Macaroni and Cheese: Farm Fresh – Like I said, everything from Farm Fresh is pretty much a winner including this long time favorite. Macaroni with onions and bacon baked in cheese. What’s not to love? 9 – Lobster Roll: Hops and Barley –Found in front of the American Pavilion, this sandwich is delicious! Filled with seafood and tastes so fresh. Pair it with the Carrot Cake below. 10 – Warm Carrot Cake: Hops and Barley –This cake is just amazing. The warm cream cheese frosting just melts in your mouth. Do yourself a favor and try it. 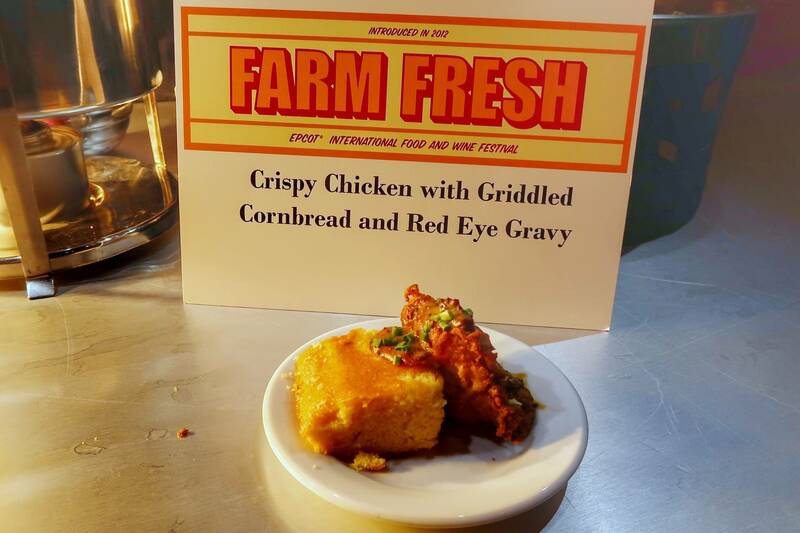 Loved trying all the yummy food at the tasting event hosted by Disney Parks. So many wonderful options! Again, these were just the best of the best for me. The ones I’d buy each time I visited the festival. Hope you get a chance to visit and enjoy all the tasty treats! 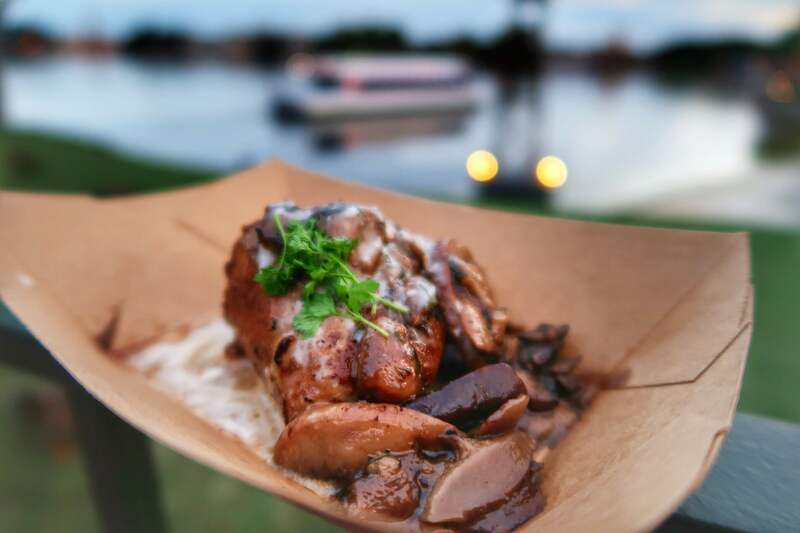 By the way, if you’re looking for overall details on the festival, best times to go and where to go first, check out my article “Planning Your Visit to Food and Wine Festival“.